Acura MDX (2001) – wiring diagrams – differential Year of production: 2001 Differential WARNING: Terminal and harness assignments for individual connectors will vary depending on vehicle equipment level, model, and market. Acura MDX (2001) – wiring diagrams – brake controls Year of production: 2001 Brake controls WARNING: Terminal and harness assignments for individual connectors will vary depending on vehicle equipment level, model, and market. 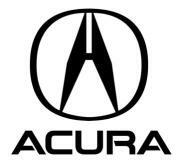 Acura MDX (2001) – wiring diagrams – wiper/washer Year of production: 2001 Wiper/washer Version 1 Version 2 WARNING: Terminal and harness assignments for individual connectors will vary depending on vehicle equipment level, model, and market. Acura MDX (2001) – wiring diagrams – sun roof Year of production: 2001 Sun roof WARNING: Terminal and harness assignments for individual connectors will vary depending on vehicle equipment level, model, and market. Acura MDX (2001) – wiring diagrams – security/anti-theft Year of production: 2001 Security/anti-theft Version 1 Version 2 WARNING: Terminal and harness assignments for individual connectors will vary depending on vehicle equipment level, model, and market. Acura MDX (2001) – wiring diagrams – rear window defogger Year of production: 2001 Rear window defogger WARNING: Terminal and harness assignments for individual connectors will vary depending on vehicle equipment level, model, and market. Acura MDX (2001) – wiring diagrams – power windows Year of production: 2001 Power windows WARNING: Terminal and harness assignments for individual connectors will vary depending on vehicle equipment level, model, and market. Acura MDX (2001) – wiring diagrams – power seats Year of production: 2001 Power seats WARNING: Terminal and harness assignments for individual connectors will vary depending on vehicle equipment level, model, and market.